This month, theEword welcomed its latest staff member, digital marketing assistant Holly O'Boyle. 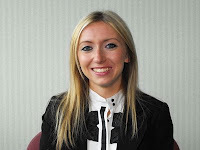 Holly joins the team having recently completed a BA in International Business at Manchester Metropolitan University. Since becoming a member of theEword, Holly’s appointment has already been featured in a number of online media publications. Here, Holly talks to theEword blog about her time as a student, the SEO Manchester community and obscure pets. Tell us about your favourite website. Probably Facebook. I worked on social marketing campaign for the site a few months ago. I was raising awareness for a fancy dress business I founded while at University. The campaign actually helped me make a profit. I became a Facebook addict from then on. Definitely Orange Wednesday. I spoofed the wicked witch advertisement for my entry into the Manchester Masters competition (Holly eventually finished inside the top 20 finalists). It later appeared on the official Orange blog! It is the perfect place to start my career. It’s a very close-knit and friendly team. There’s a great working environment and atmosphere here! There are so many. I’m a romantic comedy fan at heart though. I don’t have a particular favourite – I’m fond of most of them. What’s your greatest achievement outside of work? I studied in Italy during a placement year at university. I’m quite proud of my ability to still remember much of the Italian I picked up there. What was the first website you ever went on? I seem to remember going on Wikipedia a lot during my school years. Definitely not for cheating on my homework though. Wooly Mammoths may soon roam the city streets. I’d enjoy having a pet mammoth. It would probably be quicker travelling to work too.